Ray Harryhausen saw King Kong (1933) and was instantly hooked on the magic of movies. He eventually went on to work with the man who brought Kong to life, Willis O’Brien, on another great ape movie: Might Joe Young (1949). 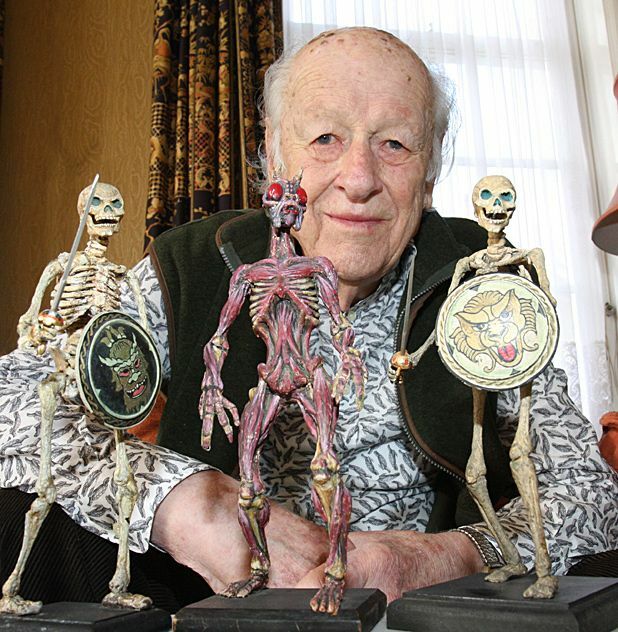 From there on Harryhausen became the leading practitioner in stop motion animation. Many a young child thrilled to the Allosaur in One Million Years BC, or the skeletons in Jason and the Argonauts, or Medusa in Clash of the Titans, or Kali in The Golden Voyage of Sinbad (the list goes on). Harryhausen brought our imaginations to life with his wonderful creations. Unsurprisingly he influenced a generation of directors and special effects artists such as Tim Burton, James Cameron, Nick Park and Steven Spielberg. He’s also a thoroughly lovely man, as this documentary reveals across several interviews. He's talked about with much warmth and respect by all the aforementioned directors (and more, including Joe Dante, Peter Jackson, John Landis and Guillermo del Toro; Jackson in particular has been personally involved in preserving his surviving models and archives). Harryhausen’s role in shaping cinema can’t be denied but unfortunately this doc is a little dry, often coming across as nothing more than a TV special. However, the quality of the interviewees and a chance to look behind the scenes at how Harryhausen painstakingly achieved such fantastic results makes it essential viewing for any fantasy film fans. Documentary on the life and work of groundbreaking special effects artist Harryhausen famed for his work on Clash of the Titans, Jason & The Argonauts and Sinbad.